Craspedia For The Cutting Patch. 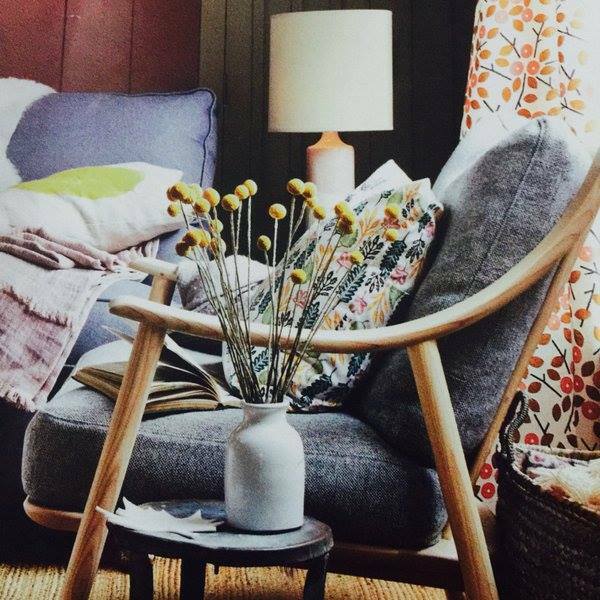 Craspedia…Photo credit: Period Living Magazine. 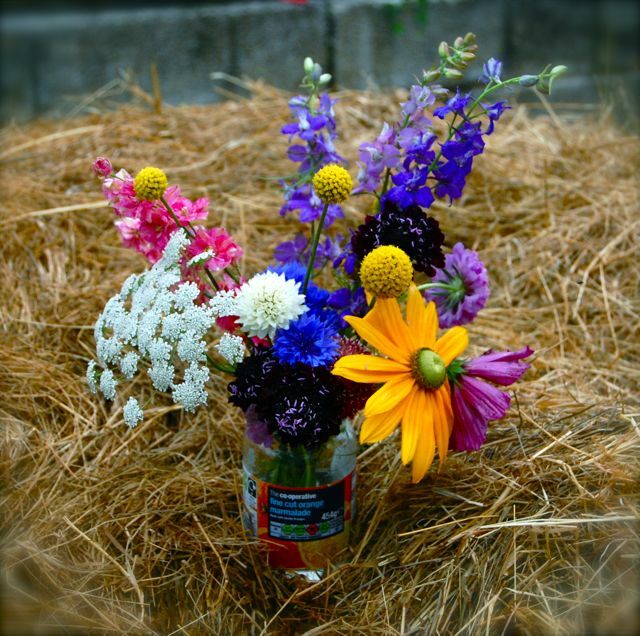 Higgledy Flower School 2016. #30. Craspedia. *I start mine in modules of good quality peat free compost at the beginning of April…though I would be happy to sow right into May. 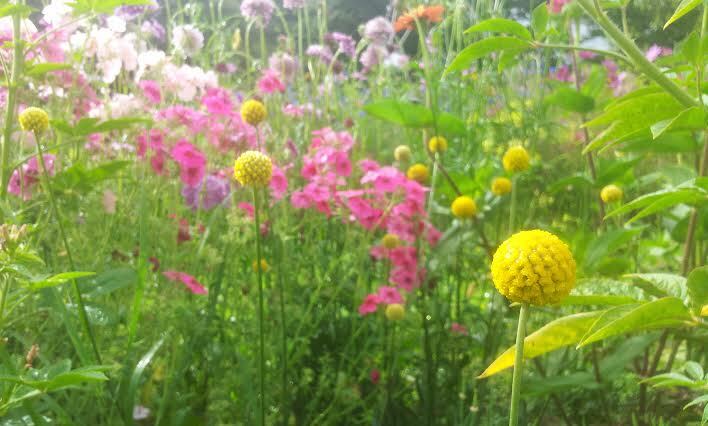 *Cover the seeds of Craspedia very lightly and keep the compost moist through germination, which takes about two or three weeks. Craspedia Seedlings…about three weeks old…I no longer use these sort of trays as the roots get disturbed when transplanting…I prefer three inch square pots. …it also looks like I was using cheap and nasty compost for this lot…dear dear…come on Higgers…sort it out! *When the plants are about 6 weeks old they can be hardened off and planted outside…but check the forecast for frost…if there is the chance of a frost just hold off. It does no harm to let the plants stay in their pots a little longer. *Space to about a hand span apart. I overcrowded mine last year with some towering Rudbeckia and consequently I had smaller plants. *Most growers treat it as a half hardy annual…however Craspedia is not all that tender. If you live in a mild climate then it may well make it through the winter. Or you could leave a cloche over it perhaps. I sell Craspedia at £1.95 for 100ish seeds. Guest Post From Rosemary McKerrell. 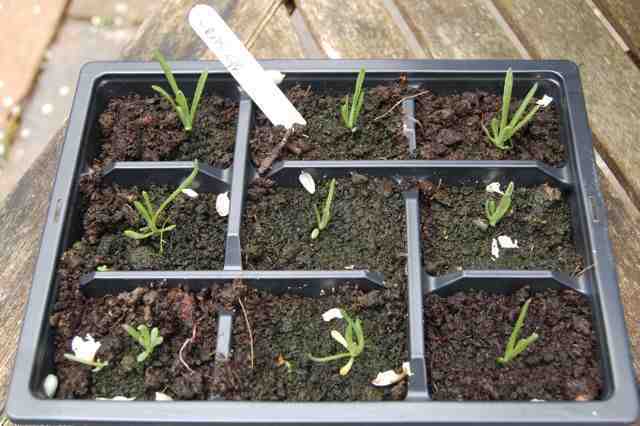 Growing annuals and …….Butterflies :	Scabiosa stellata ‘Ping Pong’ From Seed.